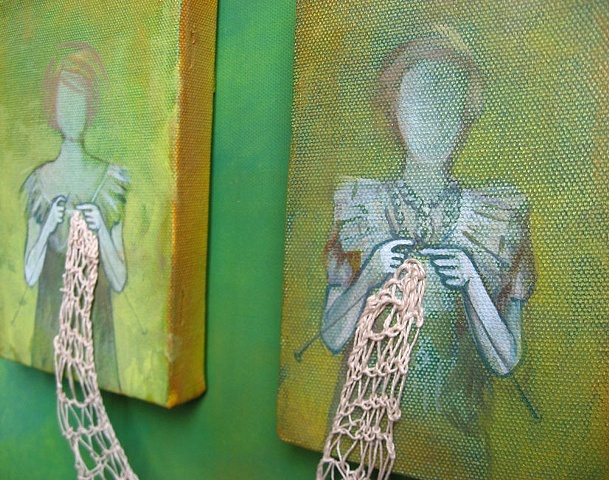 This series of Knit Painting connections started a year after I learned how to knit. 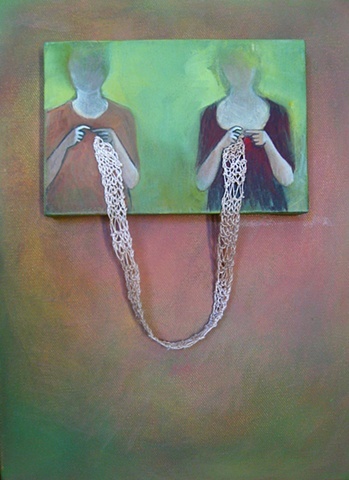 The first eight pieces in this series were exhibited in Beirut, Lebanon at an exhibit titled "Shu Tabkha Ya Mara?" 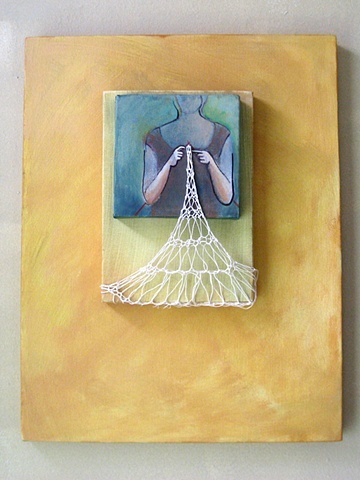 [What's Cookin' Woman? 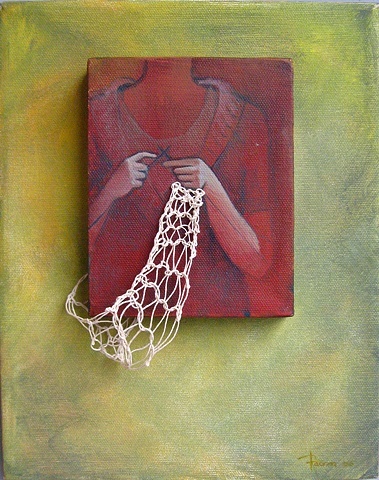 ], part of the Imagining Ourselves Project, co-sponsored by the International Museum of Women, San Francisco. 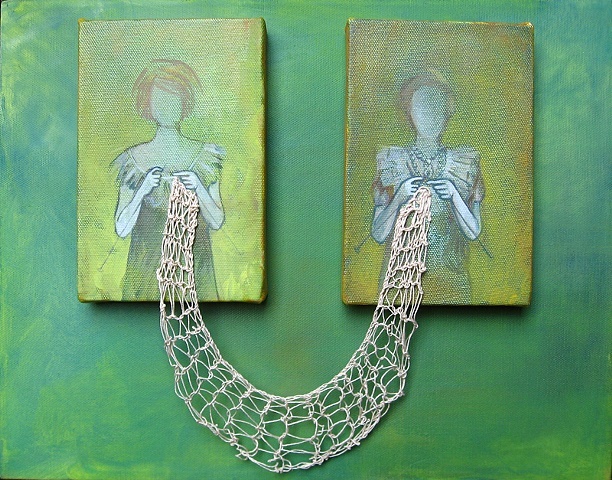 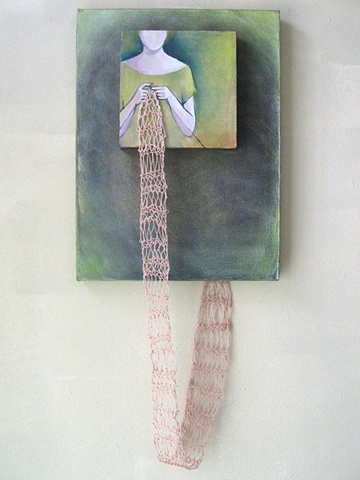 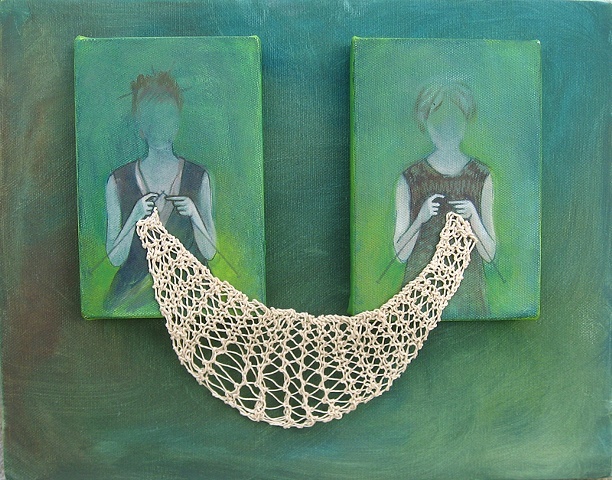 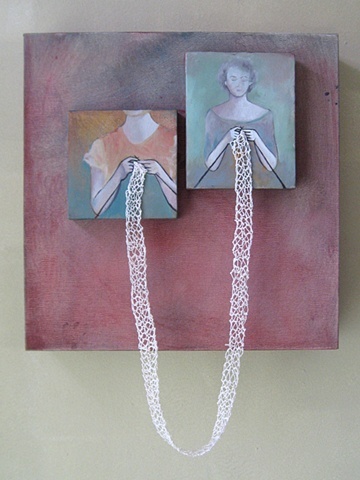 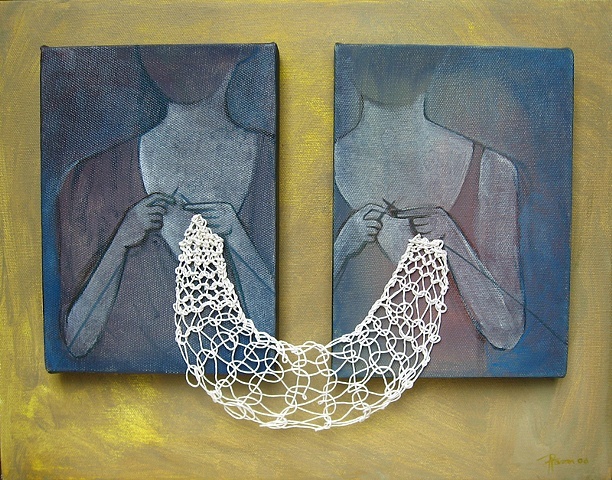 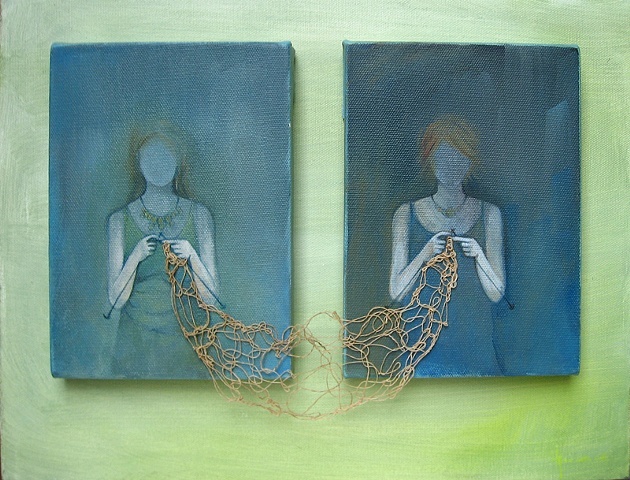 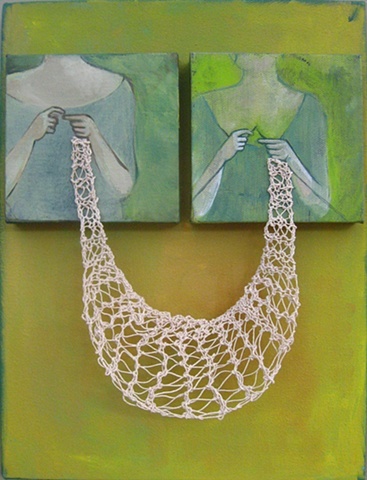 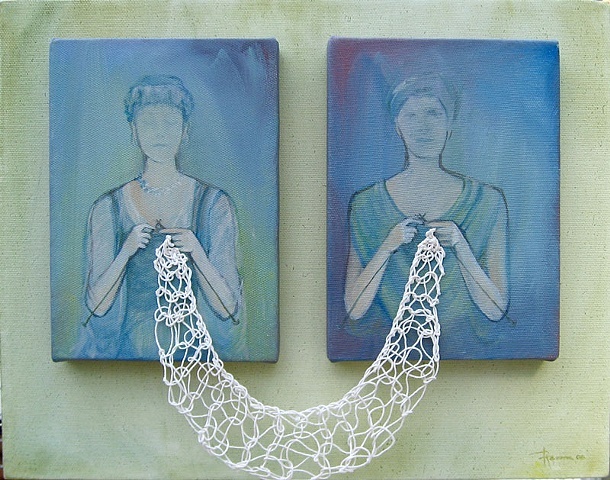 Through 2007 I continued working on the idea of connections through my Knit Painting series. 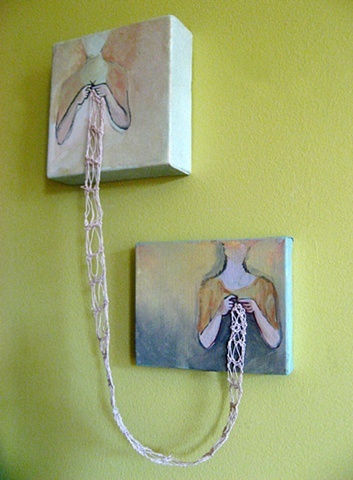 I began to experiment and break free from the constraints of canvas with floating pieces. 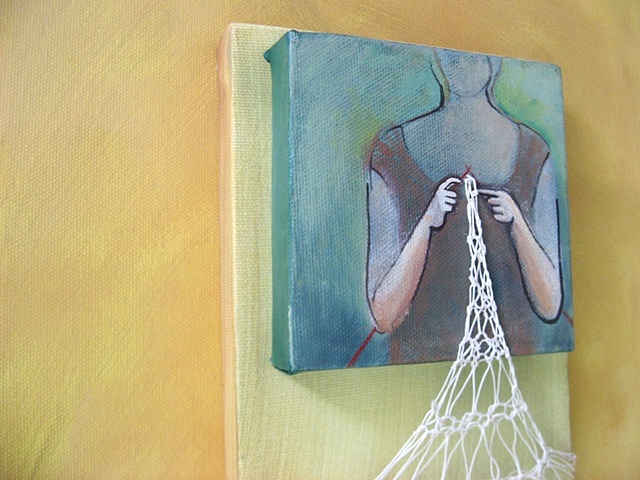 This led to the beginning of my Knit Together series. 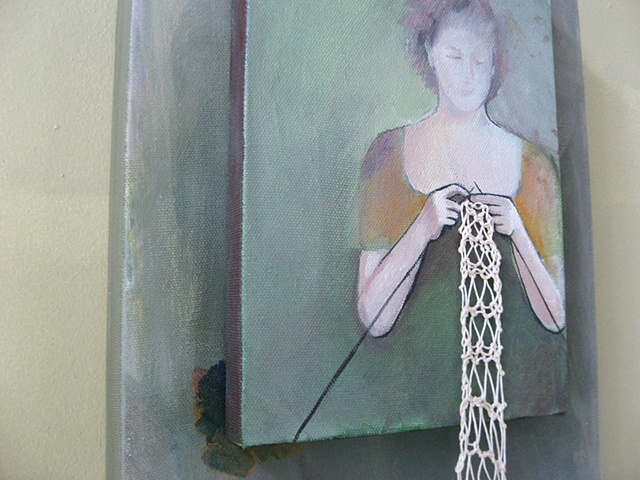 2008 was the beginning of my Knit Together series. 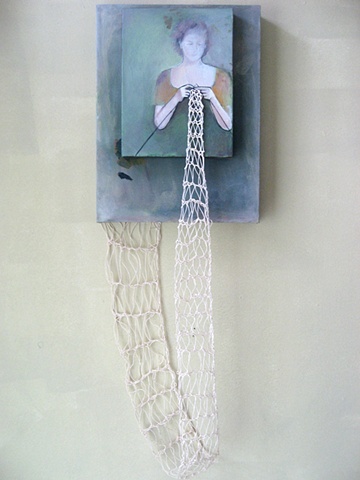 I wanted my work to be more sculptural, more organic, and more engaging. 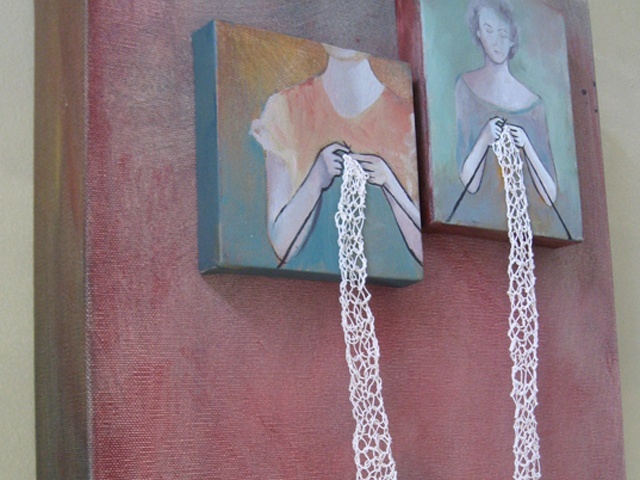 12” x 16” x 3.25"
9” x 28” x 2.25"